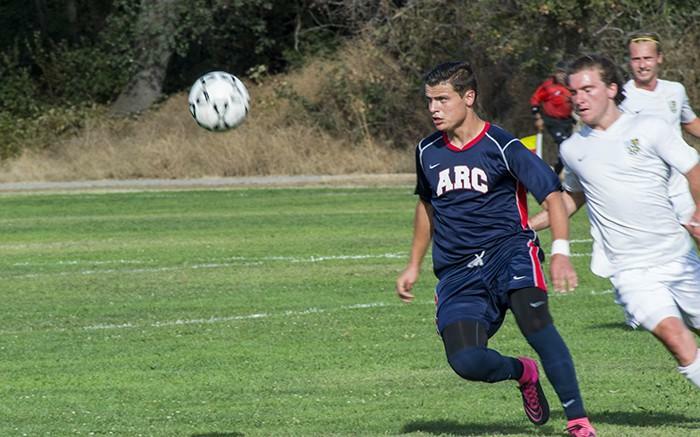 Despite having the ball for a good portion of the game, American River College men’s soccer team was unable to score in its first game of the season, losing to Feather River College 1-0. Feather River’s score came early in the first-half. After this, ARC was unable to get any kind of meaningful offensive movement down the field. ARC was able to drive the ball up field throughout the game, but lost its momentum in the last third of the field. Paul Hansen, head coach of the soccer team, said other than the goal that Feather River was able to generate, he was happy of how his team was able to defend. “Honestly, our movement and our attacking at the final third of the field is the issue of concern right now,” Hansen said. During the second half of the game, a confrontation between an FRC player and defenseman Noe Romero. ARC will be competing in a tournament next weekend, which will begin at California State University at Monterey Bay. “We get the opportunity to play the state champion Cerritos, which is obviously the highest test,” said Hansen. “Then we play Irvine as well and then Hartnell who was the previous champion of the previous year. 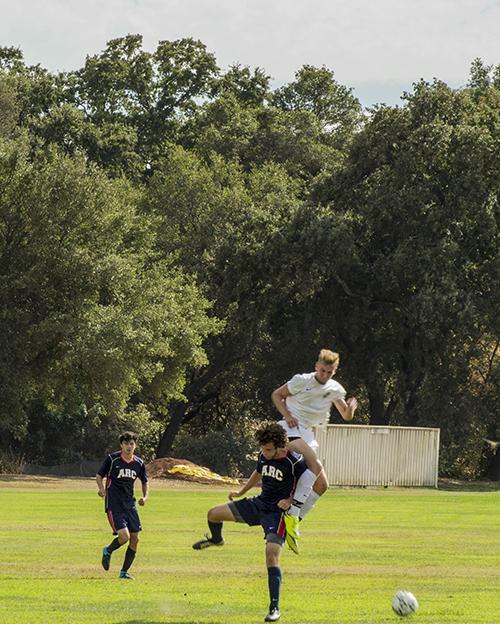 Be the first to comment on "ARC men’s soccer begins the season with a loss against Feather River"